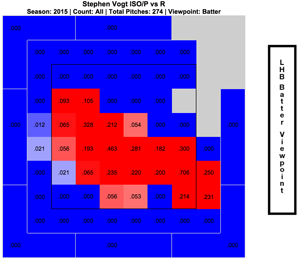 Should We Believe in Stephen Vogt? Craig Edwards pointed out that only two catchers broke out as late as the 30-year-old Vogt and sustained any sort of high level of production, so the odds are stacked against him. That sort of thing makes Vogt right at home with the Athletics, but there are plenty of reasons to believe in him, too. The awkward way he made his way to the big leagues probably kept him from showing his true self until this late in the game. It might not have really been his fault that he didn’t advance quicker. And so that’s how Vogt arrived from Tampa: fresh off as season in the minor leagues in which he had played 12 games in right field, 23 games in left, 16 at first, and 37 at catcher. Most of his training as a catcher came from spring training, when Jamie Nelson in Tampa was happy to get another backstop — with all the arms that a team has to stretch out, there’s a parade of catchers in every camp. For a catcher who calls ‘framing’ the “F word,” Vogt has made some serious strides in the early goings. As much as he attributes it to work with Marcus Jensen, the A’s roving catching instructor — “Jensen talks a lot about beating the ball to a spot, not coming around it or pulling it” — Vogt thinks that playing the position every day was most important for his development. So maybe we didn’t know Vogt could catch until we really gave Vogt a chance to catch. But Vogt is surpassing power and patience projections right now, too. Could it just be a hot streak? Of course it could, but there were a couple adjustments along the way that changed the way people see Vogt, and even change the way we would project them. Take, for example, his current walk rate. It’s well above average for the major leagues, after he spent many seasons in the minors with well below-average walk rates. 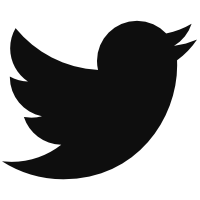 Here’s the thing. Some of those years were spent that way on purpose. “Back in 2011, I made the conscious decision to not walk as much,” Vogt said. “I knew that I was 26 years old and in Double-A, I needed to hit my way up. I wasn’t going to walk my way up.” Citing his up-and-down stats with respect to power and batting average, Vogt said he wanted to show the team that he could be an asset in other parts of the offensive game. Jared Sandberg, the Rays current Triple-A manager, agreed, telling him “I’m not saying you shouldn’t walk, but let’s get aggressive, and drive the ball” according to the A’s catcher. Vogt showed the worst walk rate of his career in 2011. He also had the best power year of his career, and was bumped up to Triple-A mid-season. When he repeated Triple-A the next year, he couldn’t help but show his innate patience again. This is a player that can quote his senior year college walk and strikeout totals (57 and 15 respectively), so it’s important to him. 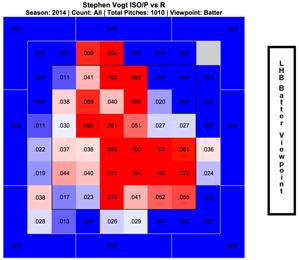 On the subject of patience, Vogt’s walk rate has also been the victim of something that happens to all new players. “When you first get up to the big leagues, you get challenged a lot,” said Vogt. “When you first come up, it’s here it is, show us what you can do.” This sort of thing shows up in the aging curves — zone percentage for batters decreases until your late twenties — and also in Vogt’s own stats. The power is tied into this battle between aggression and patience in Vogt’s line so far. He sold out for power, as much as a bare-knuckled contact-heavy bat can sell out for power. But this year, he’s hitting more ground balls than ever before, and here comes the real power. We hoped you liked reading Should We Believe in Stephen Vogt? by Eno Sarris! I believe in Stephen Vogt! I’m even in a group called that.